Mass in the Extraordinary form 5pm every Sunday. St. Patrick's Catholic Church, Ford St. Wangaratta. Summorum Pontificum Wangaratta aims to provide the Classic Liturgy of the Roman Rite of the most Holy Sacrifice of Mass and the Sacraments that have accompanied the Church and her followers in its 2000 year history, to those of Wangaratta and surrounding districts who desire it. Summorum Pontificum Wangaratta is a lay led organisation operating with the blessing of the Parish of St. Patrick's Wangaratta and the Sandhurst Diocese. 'SPWang' aims to provide the traditional liturgy of the Church to those who desire it under the provisions of Pope Benedict XVI's Motu Propio,Summorum Pontificum and the instructional document, Universae Ecclesiae. Members of SPWang are supporters of the Oriens Foundation, the International Federation Una Voce and the Christus Rex Society of Australia and are submissive to his Lordship, Bishop L. Tomlinson, Bishop of Sandhurst and to the Supreme Authority of the Holy Father, Pope Francis. The Missal of use in this society will be that of the 1962 Roman Missal promulgated By Pope St. John XXIII. 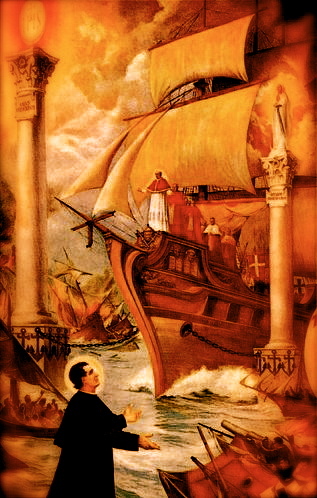 The Holy Sacrifice of the Mass was celebrated in the Extraordinary Form (in Latin) for over 400 years after it was codified by Pope St. Pius V following the Council of Trent. With the advent of the Second Vatican Council, not only did the words and the language of the Mass change, but so did the structure. As part of our Catholic heritage, the Extraordinary Form of the Mass has played a large part in the development of our Catholic identity and is the basis of the Ordinary Form of the Mass with which most of us are familiar today. By attending the Traditional Latin Mass, we hope the experience will assist you in gaining a respect and appreciation for the Extraordinary Form of the Holy Sacrifice of the Mass that is such a rich part of our Catholic heritage. We also hope this experience will assist you in gaining a better appreciation and a deeper love for the Ordinary Form of the Holy Sacrifice of the Mass that we have all become so familiar with over the last 40 years. Liturgy of the Church. " Cardinal Joseph Ratzinger (His Holiness Pope Emeritus Benedict XVI) writing in “‘Salt of the Earth” stated “I am of the opinion, to be sure, that the old rite should be granted much more generously to all those who desire it. 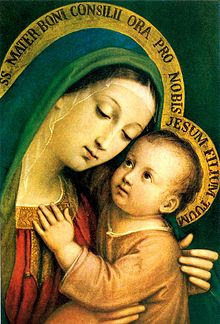 The WLMS is placed under the patronage of Our Lady of Good Counsel, Patroness of the Sandhurst Diocese, and also of St. Francis Xavier, patron of Australia. 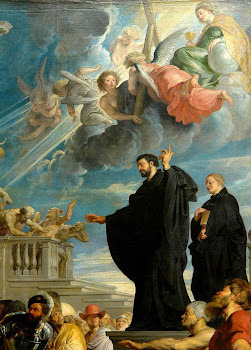 Our Lady of Good Counsel and St. Francis Xavier Pray for us. Reasons to believe Jesus is alive in a new life with God can be found in quotes from two prominent atheists and a biology textbook. Sartre speaks of the "passion of man," not the passion of Christians. He is acknowledging that all religions east and west believe there is a transcendental reality and that perfect fulfillment comes from being united with this reality after we die. He then defines this passion with a reference to Christian doctrine which means he is acknowledging the historical reasons for believing in Jesus. He does not deny God exists. He is only saying the concept of God is contradictory. He then admits that since life ends in the grave, it has no meaning. From the title of the book, you can see that Nagel understands that humans are embodied sprits and that the humans soul is spiritual. He says, however, that dualism and idealism are "traditional" alternatives to materialism. Dualism and idealism are just bright ideas from Descartes and Berkeley. The traditional alternative to materialism is monism. According to Thomas Aquinas unity is the transcendental property of being. Campbell does not even grasp the concept of monism. The only theories he grasps are dualism and materialism. If all atheists were like Sartre, it would be an obstacle to faith. An important reason to believe in Jesus is that practically all atheists are like Nagel and Campbell, not like Sartre. Hotmail Support Australia - Our technical staff is experienced to help you with every issue which is related to your Hotmail and computer or other device. For more information, Contact Hotmail support Australia phone number. Like your post, Don't Waste your valuable time just call at Microsoft Office Technical Support Australia +61-280075086 Toll free number for quick help. Founded in 2006, Summorum Pontificum Wangaratta is a lay led organisation existing with the continuing blessings of the Parish of St. Patrick's Wangaratta and the Sandhurst Diocese. 'SPWang' aims to provide the traditional liturgy of the Church to those who desire it and activly embrace the Motu Propio of Pope Benedict XVI, Summorum Pontificum and the instructional document, Universae Ecclesiae. The traditional latin Mass is celebrated every Sunday at St. Patrick's Catholic Church, Wangaratta. Sunday Mass times are at 5pm. Please bookmark our website to keep in touch with the latest information. "I am of the opinion, to be sure, that the old rite should be granted much more generously to all those who desire it." © SPWang wanglatinmass@hotmail.com. Awesome Inc. theme. Theme images by enjoynz. Powered by Blogger.